With Yeoncheon-proper behind him, Han looks out onto the Imjin River, where he used to play as a child. “The nail that sticks out gets hammered down” is an idiom that so aptly encapsulates Korea’s mentality of conformity in which people are expected to be unique enough so as to garner praise but not so much as to be overly exceptional. Cooperating in this group-think is not a suggestion but a requirement for participating in society. Those who refuse are cast aside as outsiders. Although most still fear being ostracised or the instability that comes with an uncharted path, each year, tens of thousands of South Koreans in their 40s to 60s reject these expectations imposed upon them. 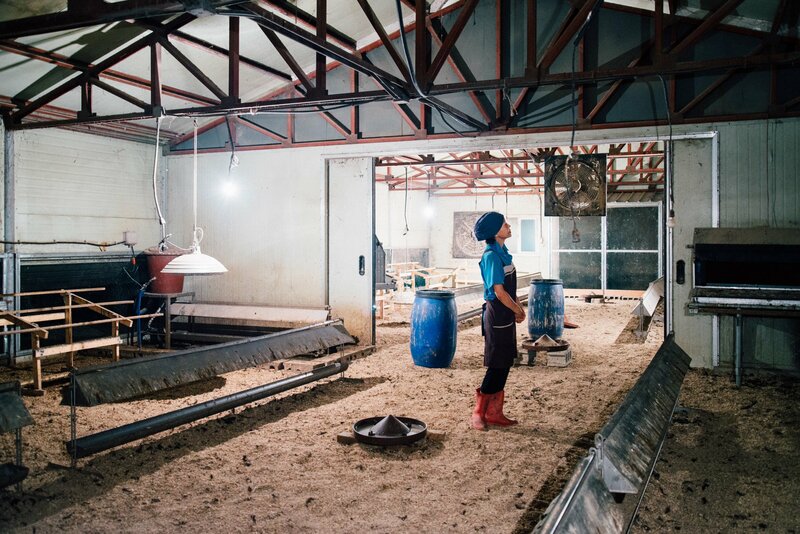 More often than not, they turn to farming—a profession that evokes shame for many older Koreans but is the hope of younger generations seeking to regain their agency. 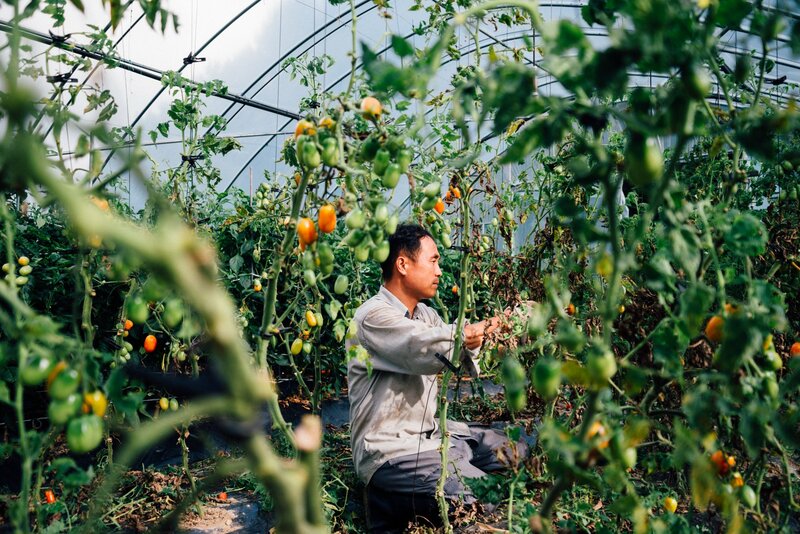 Han’s home is surrounded by fields of perilla and chilli peppers—only some of it is owned by him. Like most farmers, his land is divided into several parcels, all scattered throughout town. 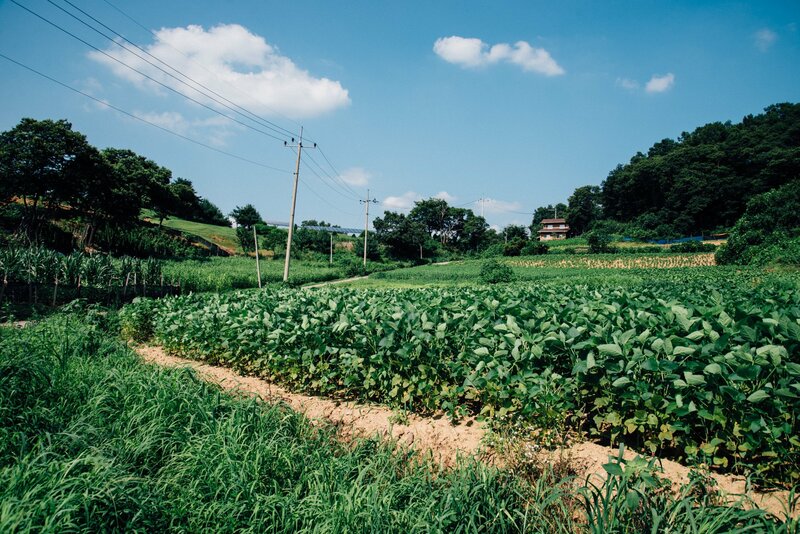 The first wave of “return to the land” farmers were born around the 1960s, a tumultuous time in which modernization uprooted Korean society as it had been known. 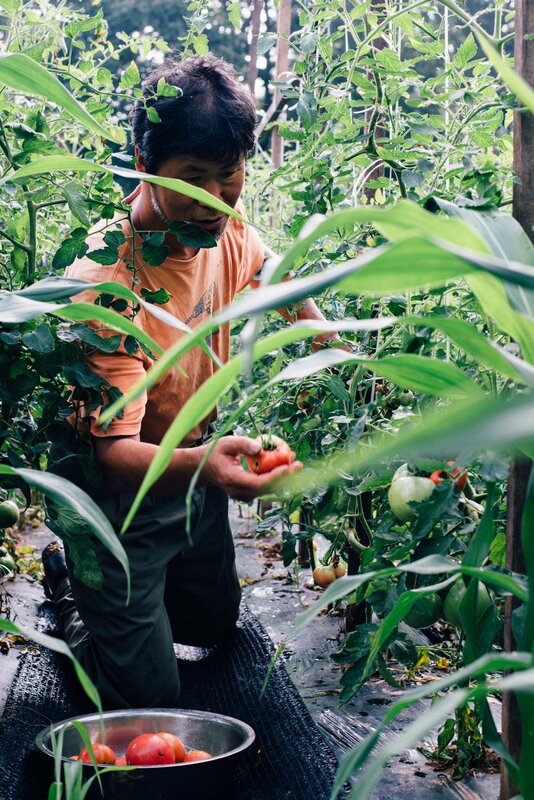 The majority of Koreans up until that point in time were farmers, but with new economic opportunities on the horizon, the parents of that generation pushed their children to focus on education in hopes that they could later find work in an urban area and lives life easier than that of a farmer’s. These children grew up toiling in the fields from before the sun rose until school opened for session. They were expected to climb the social and economic ladder not only for themselves but also for the family’s prestige. After graduating university, children of that generation moved to urban areas and held stable jobs in large companies. Despite following their parents’ every wish, they were not living the comfortable life that had been promised if they managed to escape the fields. They had economic stability but as they travelled abroad, developed health issues, or had children of their own, they began to question what necessitated a fulfilling life. In their search for answers, they decided to reject the premise that happiness could be measured by the goods they owned or titles they held and sought to live a simple life away from society’s materialism. 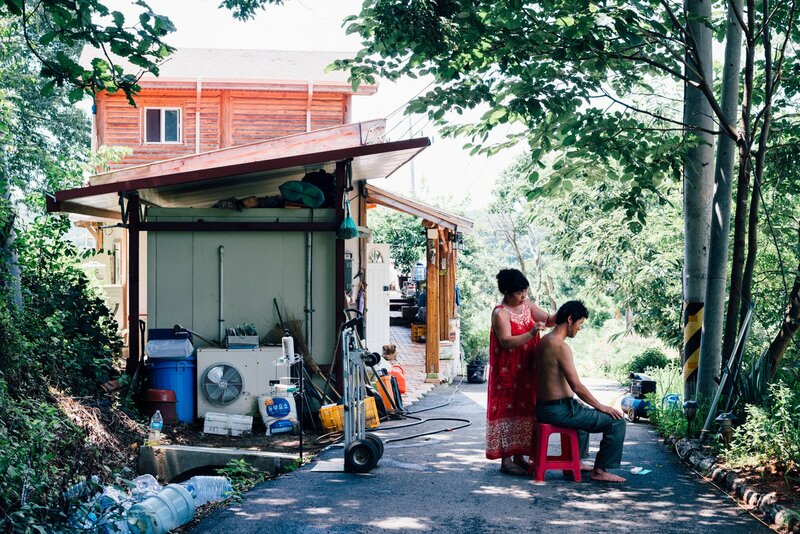 From large cities like Seoul or Daejeon, these urbanites “returned” to anywhere they could hold land of their own. They relocated as far north as the Civilian Control Line to as far south as Jeju Island. In the eyes of many parents, the decision to farm was a waste of the family’s efforts. Contrary to the pitiable image of farmers, these farmers spent their 20s to 40s living seemingly-enviable lives in the city. 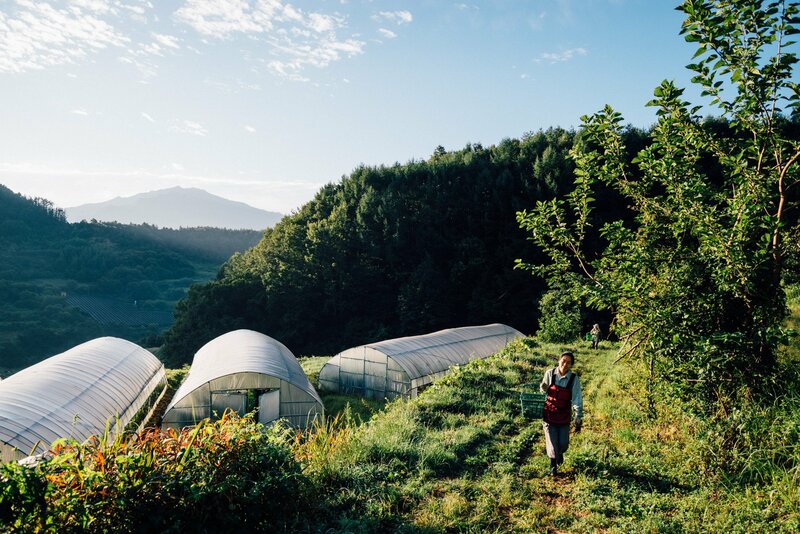 Those peering in judged these “return to the land” farmers as cowards who were shirking away from the difficulties of their lives, but despite its outward simplicity, life in the countryside included its own set of burdens. Farming is not only physically taxing but also mentally exhausting. 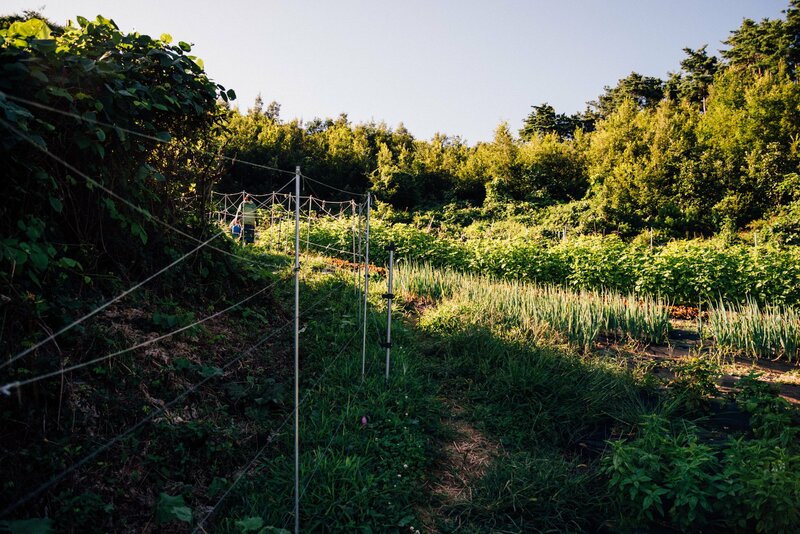 For their constant work, farmers are fortunate if they manage to earn 30,000USD in a year—a pittance considering the hours and physical labour involved. 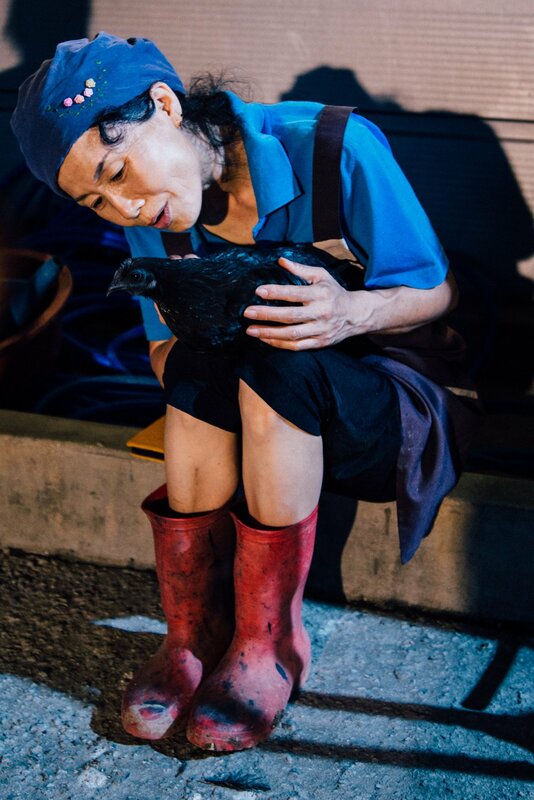 Not only are they barely able to scrape by with their earnings, their roles as producers and protectors of Korean culture are ignored as physical labour is seen as the antithesis of progress. “Return to the land” farmers are not only dismissed by urbanites but also discriminated against by local farmers, who view them as selfish and entitled. The prejudice is doubly so for women, who are usually seen as accompaniments to their husbands and therefore rarely equally respected or have their femininity questioned should they choose to farm on their own. Despite the many hardships, most of these pioneering farmers who survived the initial first two to three years have now lived in the countryside for almost two decades. 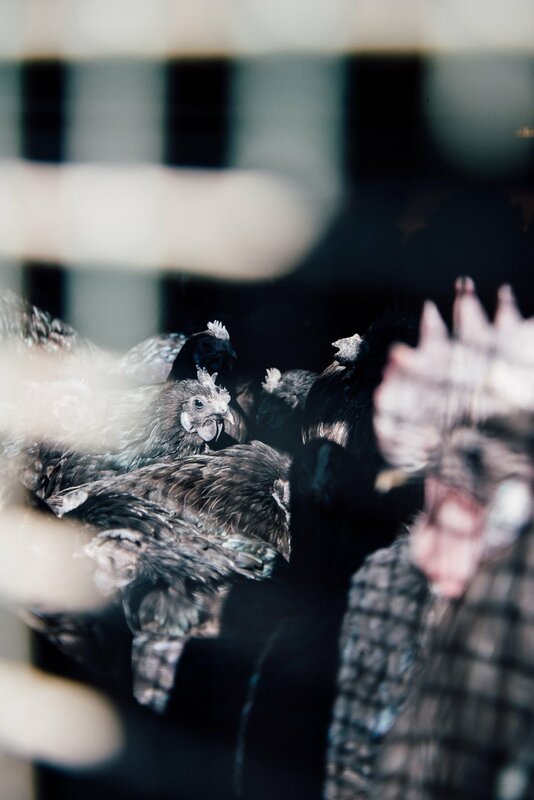 Bio: Yolanta C. Siu is a documentary photographer and visual journalist from the United States who writes primarily about urbanism and food politics. Since 2014, she has been working alongside “return to the land” farmers and recording their life stories and practices. To see more of Yolanta Siu’s works, you can visit her website.